The smell of charred circuitry wasn't a perfume Elspeth Roussel liked to wear. Helm of the Empire destroyer Nostradamus, El is the best at what she does. No one flies the big ships like she can. But Empire starships are dying in the hard black, the upstart Republic hammering them apart through sheer force of numbers. When the Nostradamus is sent on a suicide mission to destroy Republic shipyards, El's courage under fire is tested. She needs to come up with a plan to save her ship, despite her captain's desire to go down in a blaze of glory. If she manages victory, they might live to see another day. If she doesn't, the Republic will climb closer to victory on the corpses of the Nostradamus' crew. 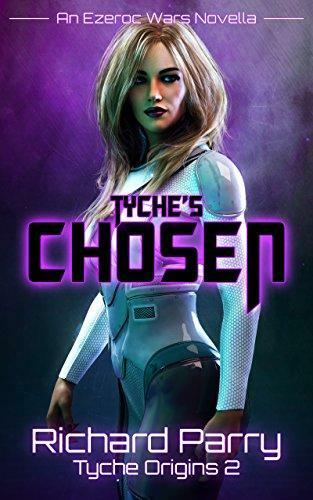 Tyche's Chosen is the second novella in Richard Parry's gripping Tyche Origins pentalogy. If you like page-turning space opera with great dialogue and heart-pumping action, get your copy today!